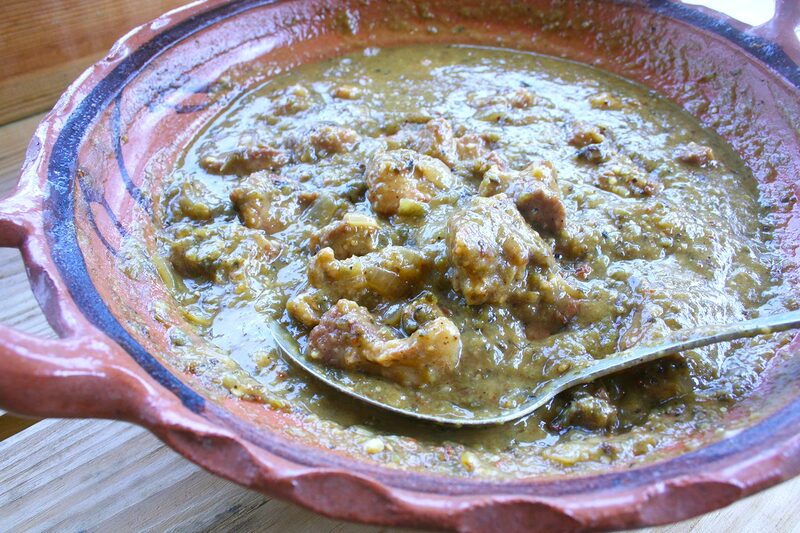 Tender chunks of pork that have been slow-cooked in a tasty salsa verde until tender. This is comfort food. 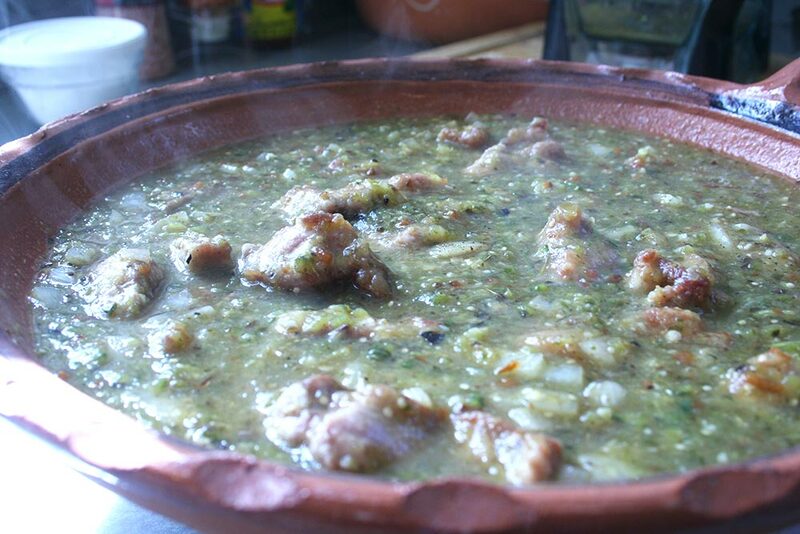 Chunks of pork slow-cooked until tender in a sauce made from tomatillos, poblanos, and jalapeños. It’s pretty easy to make it. 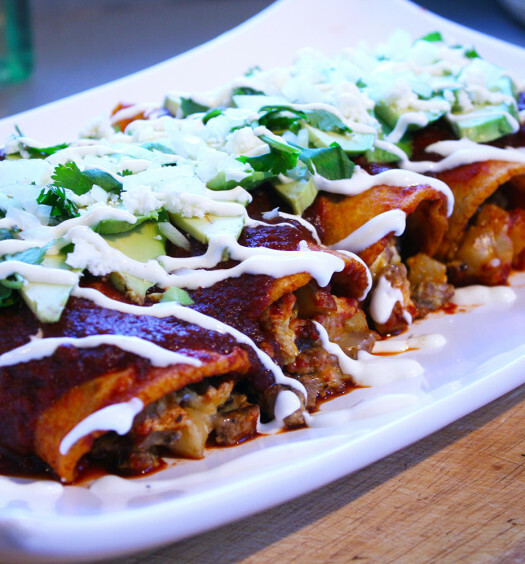 You could serve this over rice, with beans and some corn or flour tortillas. It’s got a little kick from the jalapeños and a little from the poblanos. Cut back on the jalapeños if you’re scared. 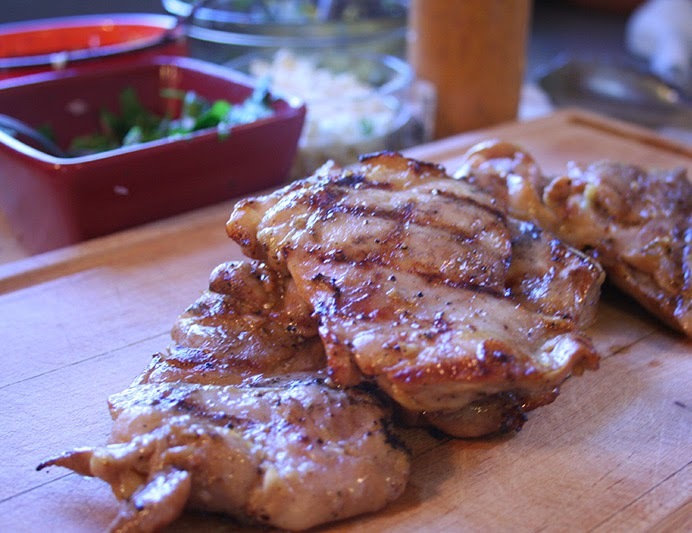 Turn on your broiler. 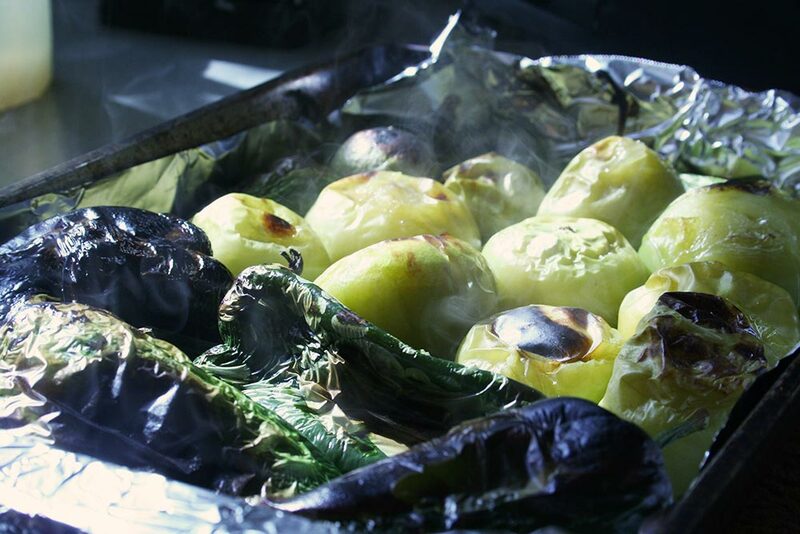 Cover a baking sheet with foil, and add the tomatillos, poblanos, jalapeños, and garlic in a single layer. Broil as close to the top of your oven as you can for about 10 minutes. Turn vegetables after 5 minutes. You should have some black spots here and there on the peppers and tomatillos. Remove from oven and let cool a little. Remove the stems from the peppers and any loose skin from the poblanos. Add all the roasted vegetables to a blender along with the cup of chicken stock and blend well. Set aside. Heat the lard/oil in a large pan over medium high heat. In a large bowl, combine the flour and salt. 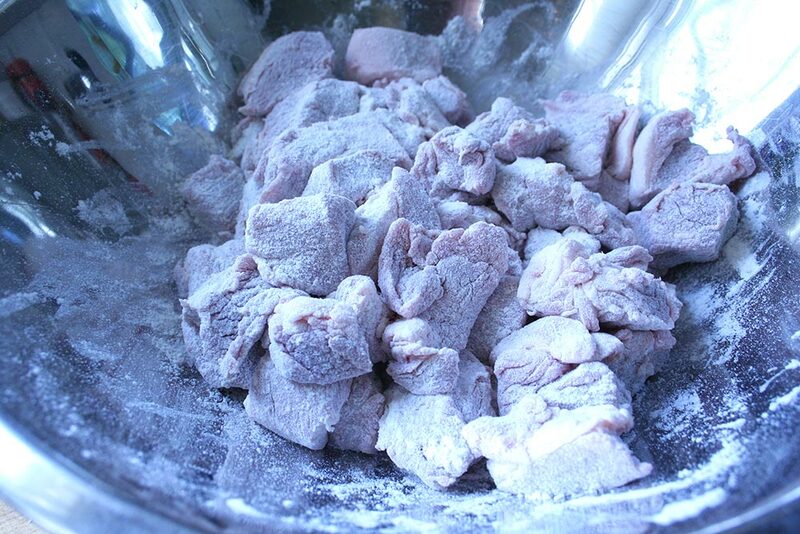 Add the pork pieces to the bowl and coat evenly with the flour. Working in batches, brown the pork pieces in the pan. Don’t crowd the pan. Each batch will take about 2 minutes per side. 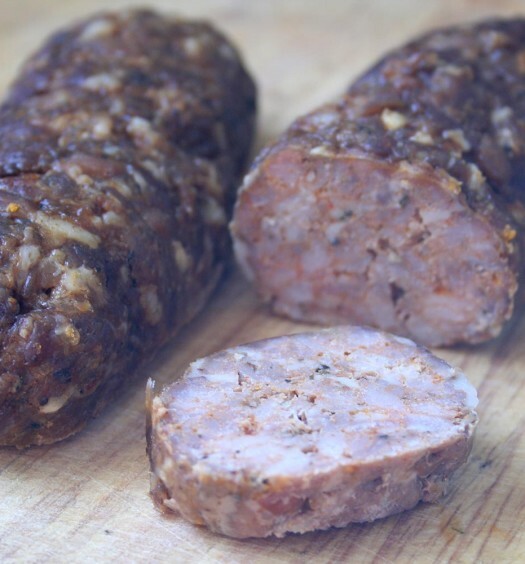 Remove pork once it’s cooked and set aside. 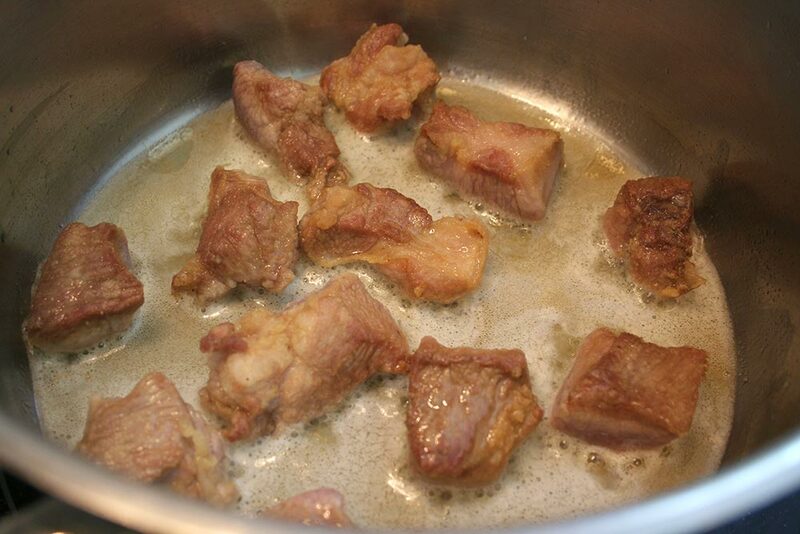 Once all the pork is browned, remove all but 1 Tbsp of the drippings/oil from the pan. Reduce the heat to medium. Add the onions, cumin, oregano, and ground pepper to the pan. Cook, stirring often till the onions are soft and the spices are fragrant. About 4 minutes. At this point you’re going to combine everything together in a large dutch oven, or pot. I use a large clay pot, but a dutch oven will do. 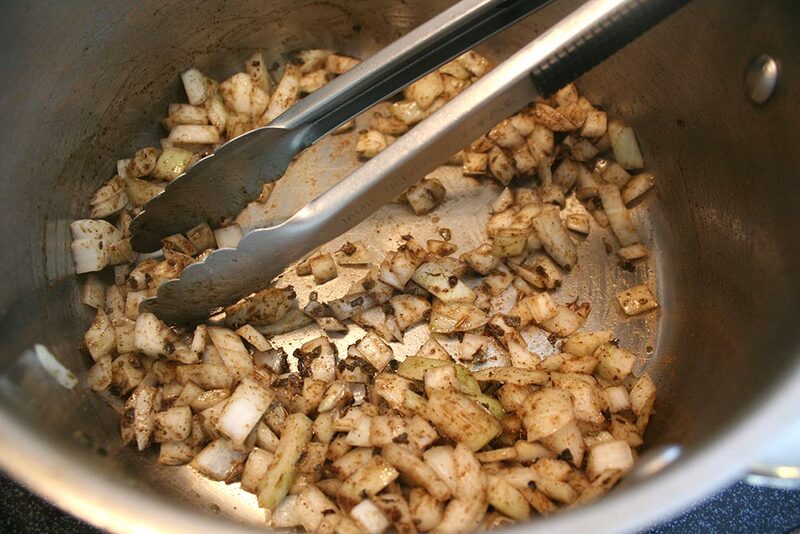 Combine the pork, blended sauce, and onion mixture together. Bring to a boil and lower the heat to a slow simmer. Cook for about 2 hours, stirring every 10 to 15 minutes. Be sure to scrape the bottom when you stir. Taste just before the two hours is up and add salt if necessary. After 2 hours you should have some incredibly tender and tasty pork. Awesome. 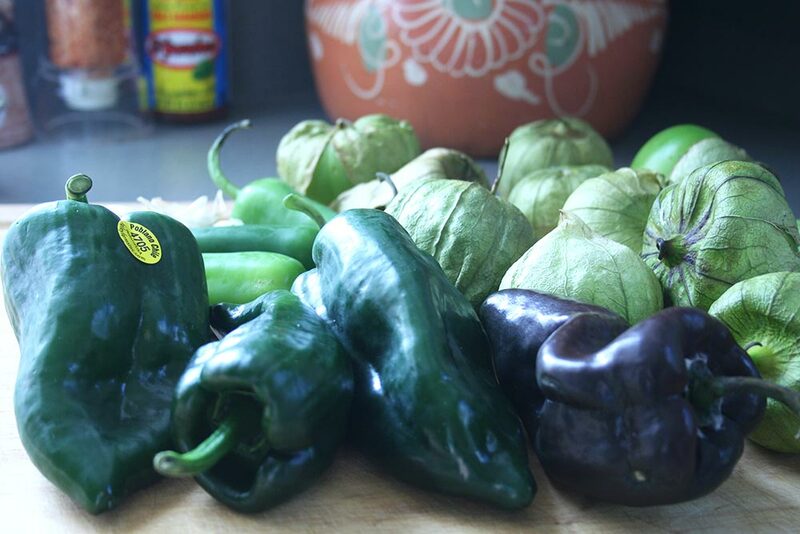 When you roast your tomatillos and garlic in the oven do you remove the husks first? Absolutely. You want to remove the husks first. You can easily remove the husks by placing them in a bowl of warm water for a few minutes. The husks will slide right off. Awesome.